Despite the unexpectedly large budget deficit, lower income earners can likely still look forward to some tax relief in the government’s 2010/11 budget, Old Mutual Investment Group SA said on Monday. Senior economist Johann Els said various factors should give finance minister Pravin Gordhan room to make moderate upward adjustments to tax brackets for lower income earners to compensate for inflationary “bracket creep”. These factors included increases in excise duties, the fuel levy, and possibly electricity tax and capital gains tax, plus positive revisions to original estimates for GDP growth, consumer spending and inflation. High income earners, however, may not be so lucky, Els said. “This year it’s a real balancing act for national treasury between the priorities of reducing the deficit and not choking off the economic recovery,” he said in a statement. Els said that by contrast, there was an outside chance that Gordhan could unveil a temporary rise in the top marginal tax rate for individuals. Given the importance of deficit reduction, Els also believed the national treasury could surprise the markets with plans for an even lower 2010/11 deficit than the 6,4% of GDP forecast in the October 2009 Medium Term Expenditure Framework (MTEF). “The bond market would certainly like a lower-than-expected deficit forecast,” he said. This more aggressive deficit reduction was possible due to expected higher economic growth this year of around 3%, plus the lower growth in spending already built into the MTEF. “Budget expenditure growth is set to decline from above 15% in the past two years to under 10% for 2010/11 and the out-years,” Els said. 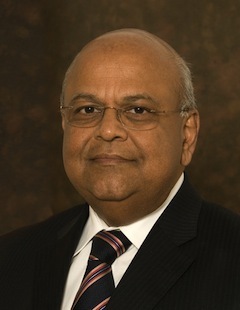 Els said the reality was that — despite a terrible 2009/10 in which actual revenues were going to fall short of the original February 2009 estimate by a huge amount — thanks to previous years of budget surpluses and a relatively conservative fiscal policy, SA was not in bad shape relative to many developed economies coming out of the global recession. Errr… what do you have to earn in order to qualify for the lower income group? Clearly less than you are !